Mark Hughes is thinking ahead to the future at Stoke City as he aims to clear the pathway to the first team for up-and-coming young talent. The Potters have sold four senior players this summer, three of whom are aged 32 or older. Phil Bardsley was the latest to depart, joining Jonathan Walters at Burnley, and Hughes says the emergence of promising players such as 18-year-old Tom Edwards (pictured top) means he is not worried for the future. “It’s important that young players like Tom are exposed to first team football," Hughes says of Stoke's Under-18 Player of the Year, who was on the bench for the 1-0 win at Southampton on the final day of 2016/17. "I've spoken in the past about trying to reduce the amount of senior players and introducing younger players at the top end of the squad. It allows us to maybe invest more fully in the first XI. "Phil was obviously part of that thinking and the emergence of Tom has been really significant." 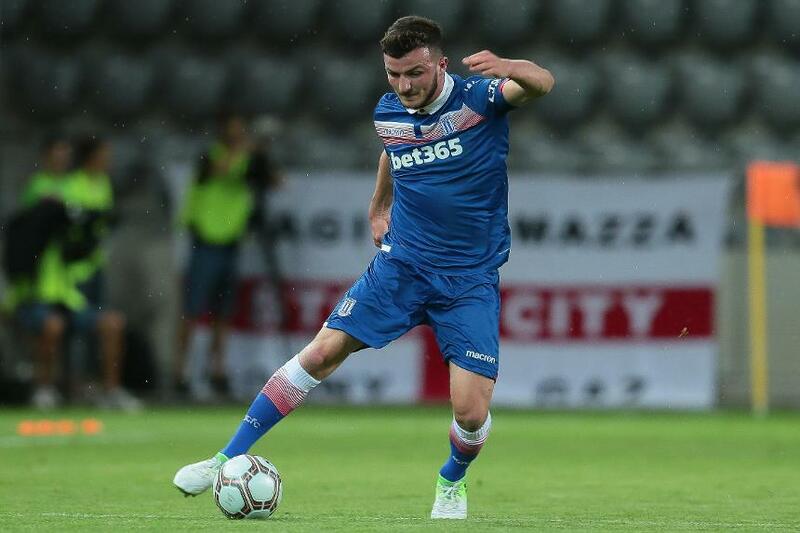 ️ Mark Hughes is convinced @tom__edwardss can make an impact when called upon following Phil Bardsley's exit.